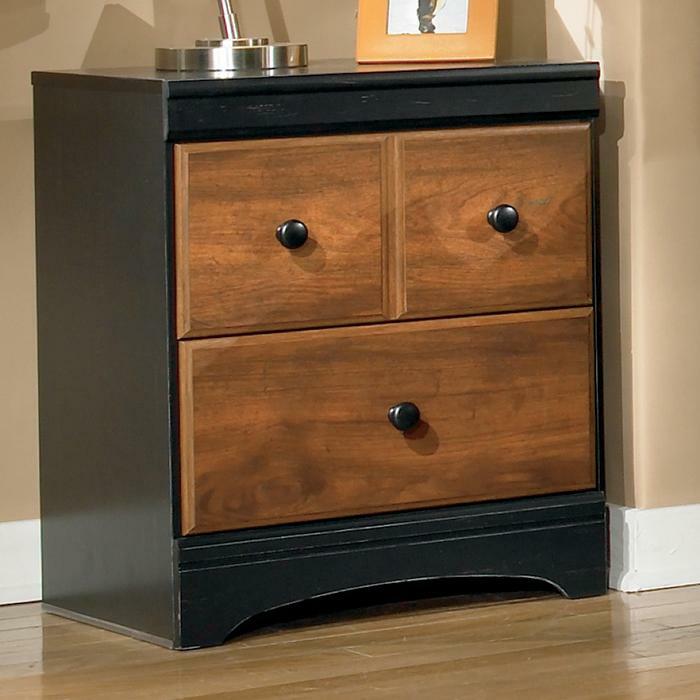 This night stand adds style alongside its functionality for any bedroom. The two-tone finish contrasts black with golden rub through on the outside frame and a warm brown finish over replicated cherry grain on the drawer fronts. Belongings are easy to access with drawers operating on side glide rollers. 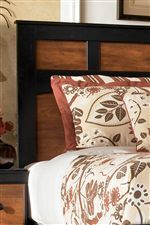 With a vintage casual design, this versatile bedroom storage piece makes a great addition to your home. Round knobs in a black finish complete the look of this piece. The Aimwell Two Drawer Night Stand in Two-Tone Finish by Signature Design by Ashley at Michael's Furniture Warehouse in the San Fernando & Los Angeles area. Product availability may vary. Contact us for the most current availability on this product.